EDINBURG — Standing on third base more than 10 hours after he first arrived at UTRGV Baseball Stadium for Saturday’s doubleheader, Tyler Torres was ready to go home — in more ways than one. 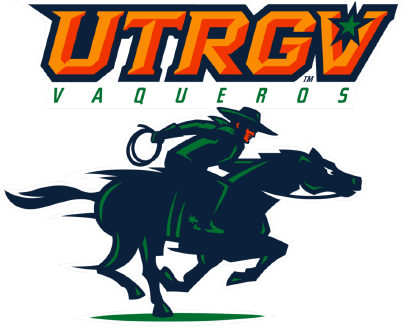 UTRGV was tied with Eastern Michigan in the bottom of the 13th inning, and Torres was the lead runner when Conrad McMahon hit a fly ball to center with the bases loaded and nobody out. Torres beat the throw home without a slide, scoring on a sacrifice fly to lift UTRGV (13-8) to a 4-3 win and a doubleheader sweep of Eastern Michigan (5-13). The Vaqueros prevailed 6-3 in game one. Ahead 1-0 in the count during the final at-bat, McMahon knew he could expect a fastball and that almost any contact would be enough to finish a day that included batting cages at 10:30 a.m., game one at 1 p.m., game two at 5 p.m. and McMahon’s final hit at 8:33 p.m.
“That’s just our mentality as a team: We’re focused and we’re playing hard any time we’re out here,” McMahon said. Torres led off the final inning with a single — the final hit of a 4-for-9 afternoon with a walk, a homer, two RBIs and four runs scored. Saturday’s doubleheader marked Torres’ first multi-hit games since opening weekend Feb. 16-18. In between, he hit just .154. Torres said he’s started to widen the base of his batting stance and take less of a leg kick, which has compacted his swing and improved his timing. For the season, Torres is batting .260 with two homers and a team-high 13 RBIs. The sophomore is also perfect in the field, converting all 43 chances at third base. UTRGV scored first in game two when Noah Lee’s single brought Torres home to make the score 1-0 during the second inning. EMU responded and took a 3-1 lead in the third, sending UTRGV starter Travelle Hill to an early exit. The inning’s first six batters recorded hits, with Hill notching just one out via pickoff before being pulled for Juan Carreon, who retired the next two batters to limit the damage. Hill exited with a line of three runs allowed — two earned — on nine hits and a walk without a strikeout in 2 1/3 innings. UTRGV knotted the score in the sixth with a two-out rally. Anthony Gomez singled and Torres drew a walk before Aaron Dees entered as a pinch hitter and went the opposite way with a two-run double to right field. Max Balderrama Jr. helped UTRGV stay even as the game wore on, tossing 4 1/3 scoreless innings allowing three hits and one walk against seven strikeouts. Balderrama induced a flyout and a strikeout after giving up back-to-back singles with one out in the 12th. In the 13th, UTRGV escaped another jam, as reliever Ben Butler forced Max Schuemann to ground into a double play after EMU loaded the bases with one out. Matlock said Balderrama, a freshman, potentially pitched himself into a weekend rotation role with his performance on Saturday, showing a fastball that hit 91 mph and a sharp breaking ball. UTRGV claimed the opening game of Saturday’s doubleheader 6-3 behind a strong outing from redshirt senior and PSJA High grad Jorge Flores, who allowed just one run on five hits with two walks and five strikeouts in seven innings. The Vaqueros scored first in the fourth, when Austin Siener’s sacrifice fly brought Elijah Alexander home. Alexander also scored for the Vaqueros in the sixth, coming in on an Ivan Estrella double that gave UTRGV a 2-1 lead. Gomez added an RBI double in the inning, and Torres brought in another run with a single. Coleman Grubbs extended UTRGV’s lead to 5-1 with a run-scoring single in the seventh, and after EMU scored two in the eighth against reliever Luis Acosta, Torres pushed the advantage to 6-3 with an eighth-inning solo homer. After a Tuesday matchup at Texas A&M-Corpus Christi, UTRGV returns home to open WAC play against CSU Bakersfield at 7 p.m. Friday. UTRGV is in search of its first WAC Tournament berth since 2014 and has picked up 13 nonconference wins — the most of any team in the league through Saturday.